I'm bad. I don't just mean bad in a mean way but bad in an "I'm sorry!" way. I've stopped counting the time since the last moment I "promised" to write the next edition of The Big Bond Book Club. I've probably written that I would write the next post more times than actually completing the blog post. Weeks? Months? Maybe a year? Years even?! I could check back into the archives but even then I wouldn't be surprised at the date. Suffice it to say...it has been a LONG time. With that being said...I'm sorry. The last time I left off the series was with the fourth book - Diamonds Are Forever. It reached a medium thrill but for full details of the comparison, you can check out my article with the link above. For those unfamiliar with this series (I wouldn't be surprised - it has been a long time), I read a James Bond book chronologically from its release date and watch the corresponding film from the MGM series. I critique both against each other based on what I like and don't like. The scales don't always fall on the side of the movie series so I wouldn't prejudge just yet for all you naysayers and movie-only fans out there. The story I'll be reading today is the fifth book in the series: From Russia with Love. The Story (novel): SMERSH, the menacing Soviet counterintelligence agency, plots to assassinate James Bond in the hopes of discrediting not only him but his agency as well. The Story (movie): SPECTRE, a secret organization, plots to assassinate James Bond. Time has passed since the last time I read the book and watched the movie. It took a while to remember everything so I will keep this post short and brief. I'll probably expand this section further in future posts when the updates are more timely. (Seriously people, I'm really sorry!) With the exception of a few details - such as the name of the organization and updating the time period - I didn't notice much of a difference from the source material to the big screen. 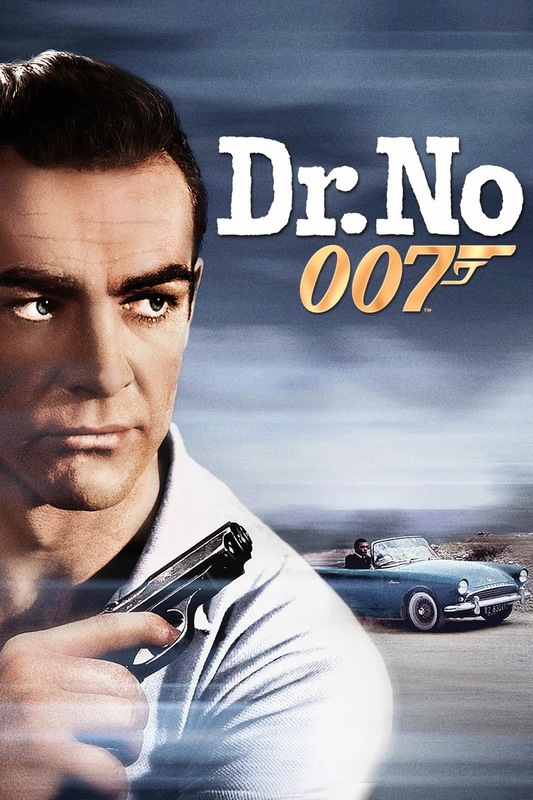 An organization still seeks to eliminate Bond, a beautiful woman manipulates him for the motives of said organization, and a slightly deranged woman tries to kill Bond with a blade...in her shoe. If this were any other series, I might laugh at writing that line but with all the unique gadgets and weapons, it feels right at home. Almost playful and giddy in a way. 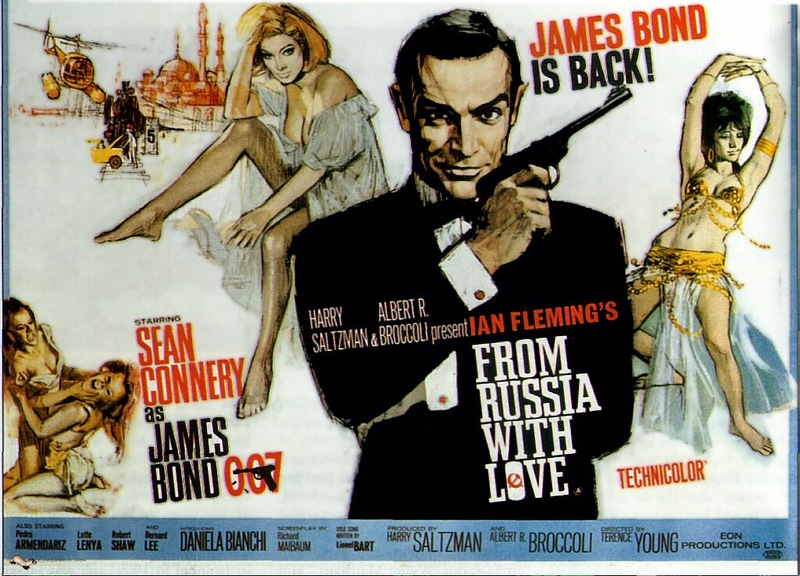 From Russia with Love is not my favourite story in the James Bond universe. Woah...wait...lower your pitchforks and drop the flaming torches now, 007 fans! Hear me out. I understand that this story is a favourite by fans of the series; it has a lot of iconic moments and characters that resonate with fans (i.e. Tatiana Romanova, the shoe, SPECTRE/SMERSH). Unfortunately, I wasn't really pulled into the story. Blame it on the plot, the time period difference or the source material but I felt it was an average adventure in the Bond legacy. I mean in the stories before this book, he had to stop a space exploration or a voodoo drug kingpin with the help of his psychic ally. I couldn't quite get into the story. I've watched the movie and read the book a few times - it's good but not great. NEXT: The sixth addition in this blog series is bringing it all back to the beginning. That's right! Slip on your cabana wear, grab your seashells and head to a tropical destination, I'm going to be reading "Dr. No!" It's funny to think that the first film in the movie series is actually the sixth entry in the book series. Comparisons will be on the lookout for my next post.